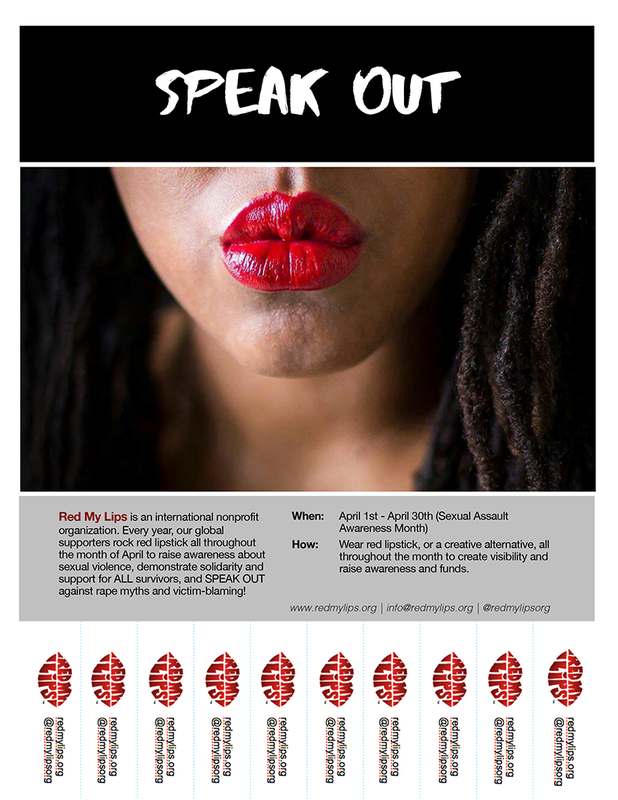 While not everyone is comfortable wearing red lipstick, there are tons of ways to get involved and make a difference! Below are some ways you can spread the word and support our work, both in April and throughout the year! Join our event page, invite ALL your friends (regardless of gender), and ask them to do the same! Follow us @redmylipsorg on Instagram and Twitter. Use #redmylips and #ok2share if you are comfortable with us sharing your personal stories and photos. Change your profile or cover photo. Share what the cause has meant to you by leaving a testimonial. Create and share a video. Design an art or photography project. Print and distribute some of our free flyers or brochures in your school or community (see below). Order some of our temporary tattoos. You can wear them yourself or share them with someone who could use the love and support. Talk to your friends and family about our organization and tell them why this cause is important to you!